Residents of Aliso Viejo can now be provided with high quality storage units available at an unbeatable price! 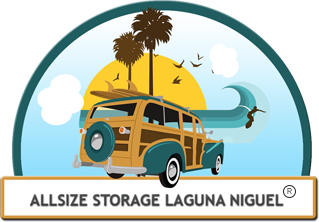 Headquartered in Laguna Niguel, Allsize Storage provides affordable and reliable Aliso Viejo storage for all residents. Allsize Storage offers boat and automobile storage for any size vehicle. We also provide high quality security systems equipped with 24-hour surveillance, gated access, and keypad entry. Allsize Storage is family owned for over 30 years. We are managed by a team of professionals that have grown up in this area. This allows us to better understand your needs and offer you a variety of storage options in South Orange County. We have a clean facility and security gates. We go out of our way to individualize your move and provide a positive experience.